The difference between hydrology and hydraulics continues to confuse laypersons. Even engineers are often fuzzy about the subject. Several years ago, at a conference in San Francisco, I met a colleague who was employed with a leading engineering firm. He had gotten his doctorate in hydraulic engineering at a reputable school, and had eventually risen to become section head at his firm. Yet, the title in his business card read: "Chief Hydrologic Engineer." Knowing that he was a good hydraulics man, I could not help but to ask him how much he knew about hydrology. He responded, smiling: "Not much, but it sells better than hydraulics." 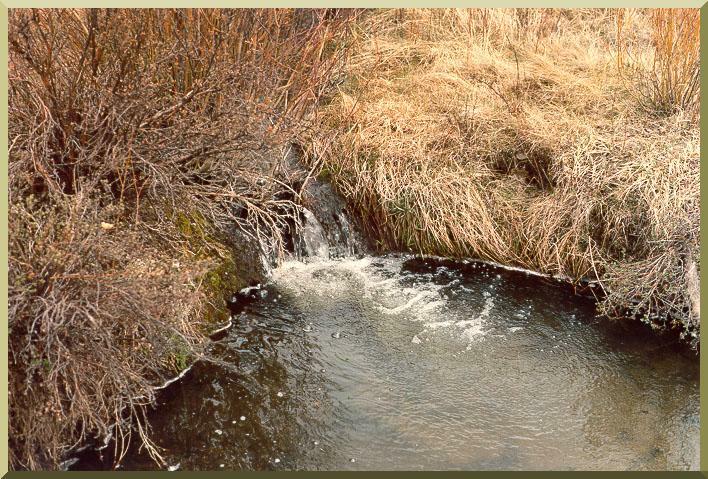 A tributary of Trout Creek, Colorado, showing perennial flow, estimated at 1 cfs.